Liberty Seated half dollars were designed by Christian Gobrecht and struck from 1839 through 1891. 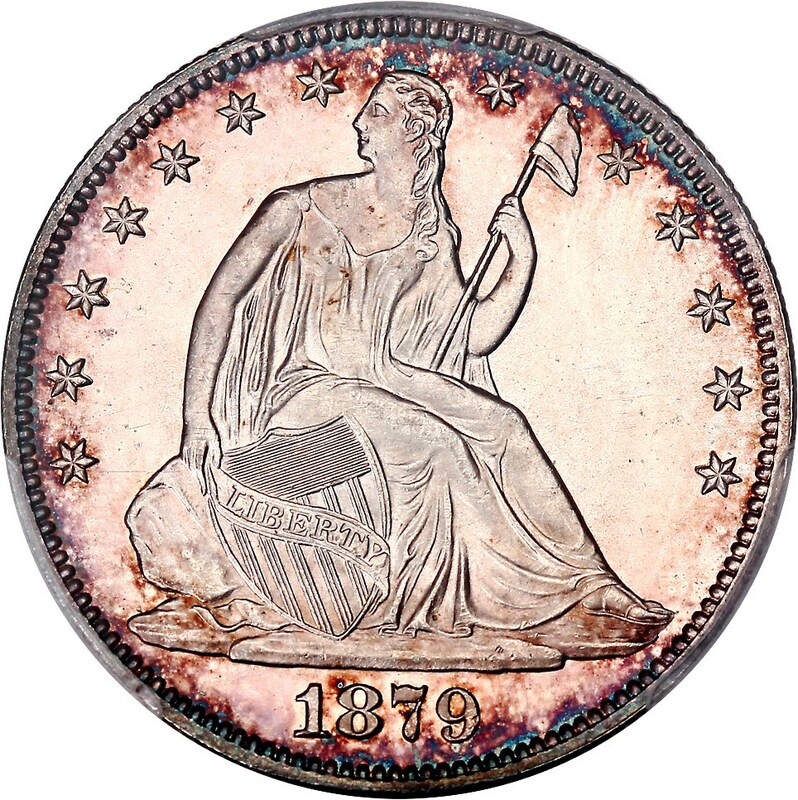 The Liberty Seated motif was one of the longest-running designs in United States history and was seen on several silver coins. However, the design was modified over the course of the decades to accommodate changes to the coin?s physical weight and also to incorporate various elements that were added to or removed from the obverse and reverse. Most Liberty Seated half dollars are readily available in the circulated grades, but several issues are considerably scarce, and the Variety 1 1853-O is among the rarest of all with just four known examples and a six-figure minimum price tag. The 1878-S also stands out as an exceedingly rare piece, with an original mintage of 12,000 and just 50 estimated to exist. Other scarce issues include the 1844-O doubled date, 1847 7 Over 6, 1870-CC, 1873 Open 3, 1874-CC, and 1878-CC. Meanwhile, virtually all Liberty Seated half dollars are conditionally scarce in the gem Mint State grades.